The commissioner of the Alaska Department of Corrections says that counseling, security changes and new screening policies were major factors in a dramatic drop in the number of walkaways from the state's halfway houses in the second half of 2016. Amid a pervasive culture of drugs outside the facilities and boredom inside, as many as two or three dozen people were walking out the front doors each month and not coming back, Commissioner Dean Williams said at an open house last week at the Cordova Center, the state's largest halfway house. "There are reasons why people were walking away," Williams said in a later interview. "Either they're still drug-addicted, or because there's so many problems here that it's better they take a chance not being here, even though that's a walkaway or escape charge against them." Too many inmates were sitting around with nothing to do, he said. But Williams also said Corrections was placing people in halfway houses who should not have been there. The Thursday open house was the first event of its kind at the Cordova Center, owned by Florida-based GEO Group Inc., one of the nation's largest for-profit prison operators. GEO Group officials from Anchorage and Florida were on hand Thursday to highlight improvements to Cordova Center in response to state concerns, and emphasize what one Florida-based GEO Group executive, Ann Schlarb, called "evidence-based strategies" in curbing criminal activity. 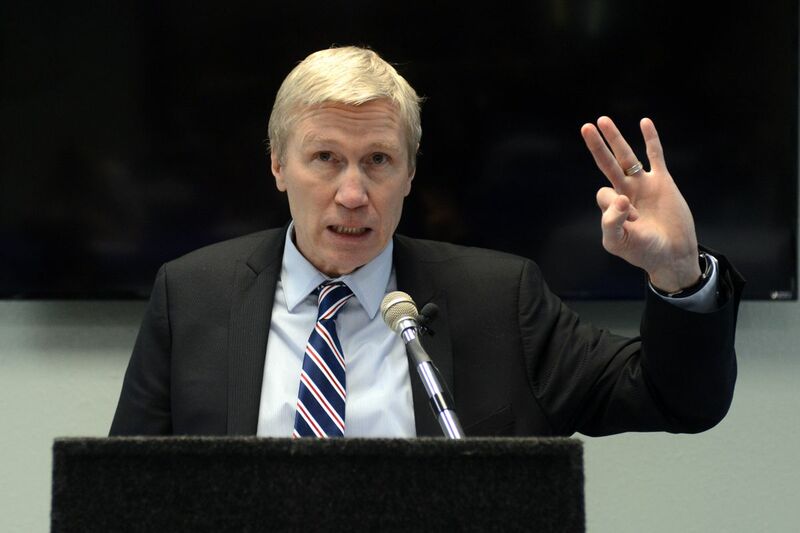 The event also signaled a public relations push as the state of Alaska prepares to rely more on halfway houses while reducing its prison population through criminal justice reform. According to data distributed Thursday by Corrections spokesman Corey Allen-Young, the number of walkaways per month in Alaska and in Anchorage dropped sharply between July and December of 2016. In the first six months of last year, 117 people walked away from Anchorage halfway houses, about half from Cordova Center. Just 39 have walked away since July, about 25 from the Cordova Center. The state ended the year with 222 walkaways from halfway houses, about the same as the peak in 2014. Halfway houses, which are minimum-security detention facilities, were at first designed to ease a prison inmate's transition back to society. Because they have such low security, it's easy to walk out the door without being stopped, though it's a crime to do so. 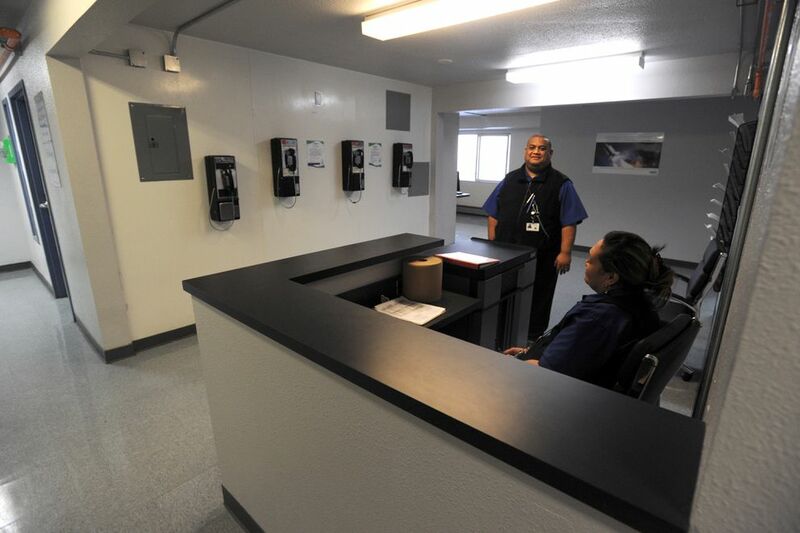 But as Alaska's prison population swelled, halfway houses have also doubled as pretrial jails for people facing nonviolent misdemeanor and felony charges. The decision to place "unsentenced" inmates in halfway houses has led to friction between local Anchorage police officials and the DOC. In April, frustrated members of the Anchorage Police Department started tracking walkaways, sending alerts on its messaging system to citizens and the media. At first, corrections officials suggested the scope of the problem may be overblown, pointing to a steady walkaway rate that made up a small proportion of the overall prison population. But on Thursday, Williams took a different tone. He said he met months ago with Geo Group officials to say, "Something's not right here." Since then, GEO Group officials say, the company has spent more than $1 million changing the floor plan and adding security. There's new counseling methods — like "moral reconation therapy" designed to increase ethical behavior — and programs for inmates to keep busy. The state also stopped paying for empty beds, cutting millions of dollars from the contract, Williams said. And fewer people have been sent to halfway houses, as corrections officials tightened up the criteria to get in. The Cordova Center opened in 1985 and has seen several ownership changes. 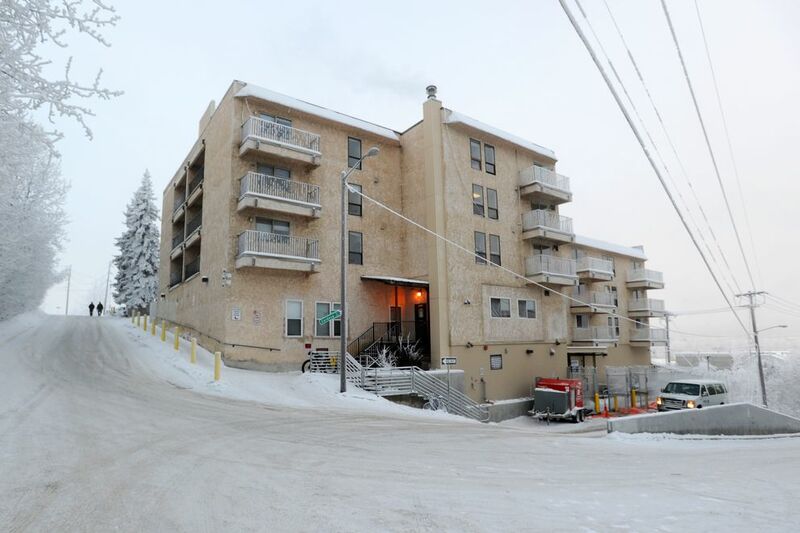 The brown apartment building tucked away on a steep hill off Second Avenue and Cordova Street in Anchorage is unremarkable, except for the chain-link fence topped with barbed wire that surrounds it. The chain-link fence is new. So are metal detectors and a buzz-in system by the front entrance, officials said — examples of recent security upgrades. 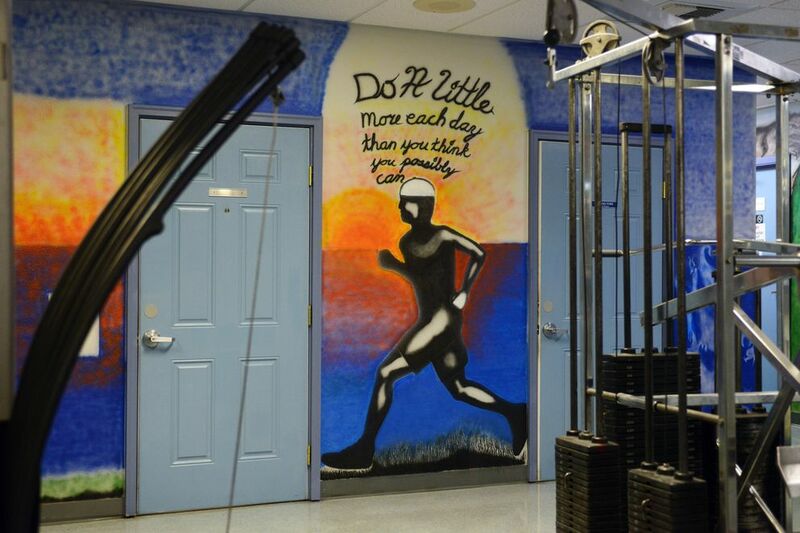 In the downstairs common area, murals painted by inmates now decorate what was, until recently, a cheerless turquoise wall. 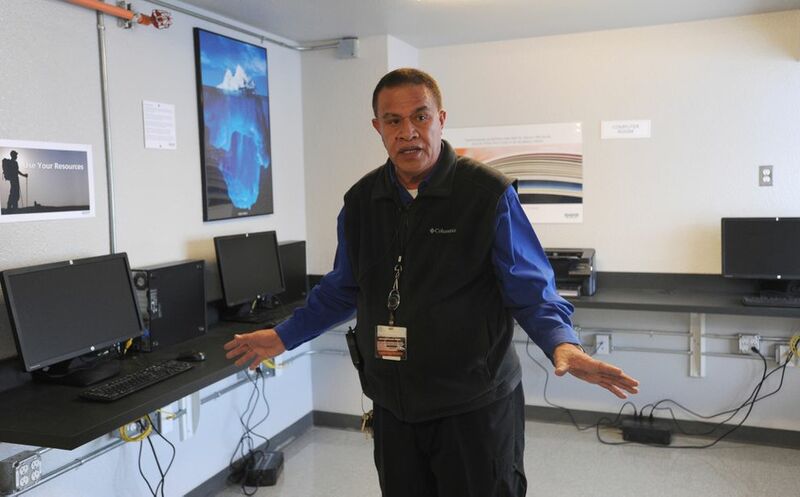 In a Thursday tour of the building, security manager Paka Aina swept his arm around a new area with computers and offices for case managers just past a security desk and payphones. Inmates used to have to go downstairs near the main lobby area to talk to case managers. 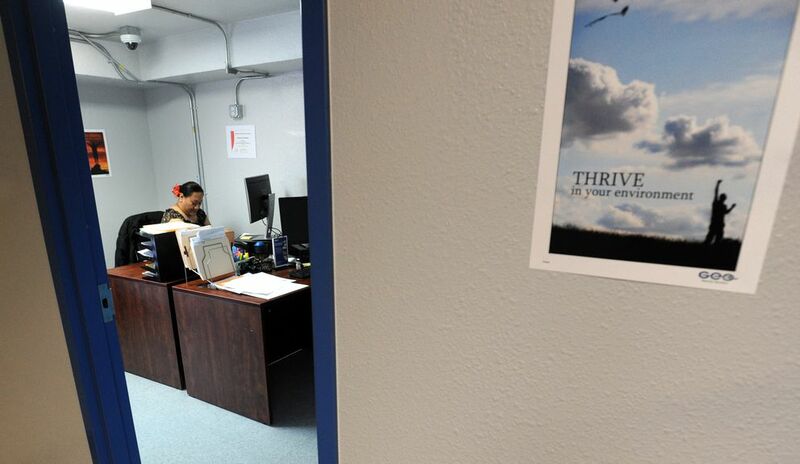 Now the case managers have moved into offices on the same floor as inmates — a significant shift, officials said. 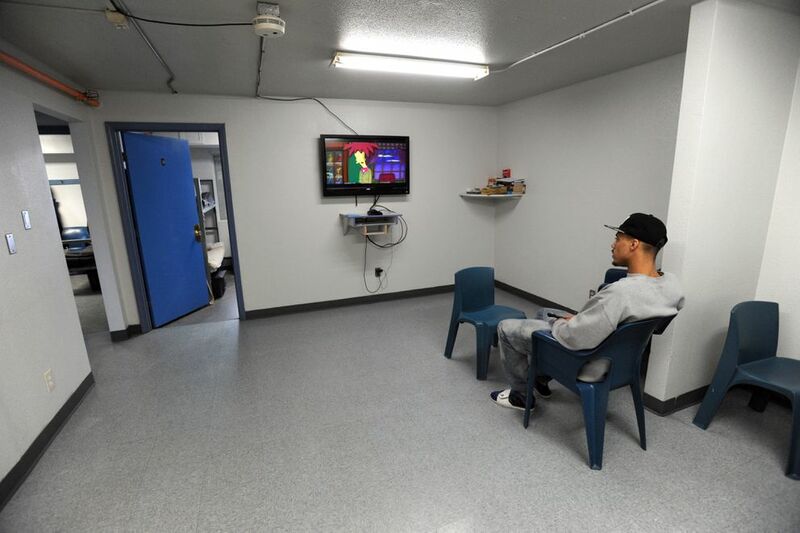 Down the hall, three Cordova Center inmates were watching a big-screen TV in a spare common area linked to dormitory-like chambers with bunk beds. Previn Deveroux, 30, has lived in the Cordova Center since August, wrapping up a two-and-a-half year sentence for theft. He gets out Feb. 12. He said he'd noticed a "big change" in the months that he'd been there. "Just the overall way it's run … the morale in the security, everything," Deveroux said, wearing a navy blue hat that read "Brooklyn." "They're trying a lot more programs for us, access to computers for jobs." Oinree Devoe, 42, had only been there a few weeks, but he said he'd also heard about an improving atmosphere in the Cordova Center. It's a better place than Goose Lake Correctional Center, where all three men were serving time previously, said the third man, Paul Sewell, 45. The mix of inmates has also changed. Pre-trial inmates are now segregated from people who are on prison furlough and finishing their sentences. Though "unsentenced" inmates are seen as more volatile, in February, Williams himself ordered his staff to start letting in people who were awaiting trial on felony charges as a way to cut costs. Williams acknowledged Thursday that was a mistake. "A big part of (the walkaway problem) is on us," Williams said. He said his department was "placing people here that were probably ill-advised … unsentenced and drug-addicted." Williams wouldn't say what was planned for curbing drug trafficking in halfway houses, which he said is still an issue. He only said it was one of his priorities, and corrections, was "working with law enforcement partners very assertively." He emphasized there's more work to be done. "We're not claiming victory on this and running home," Williams said. "We're going to continue to work on this issue." Williams said he's also examining halfway house models in other states to figure out other options for Alaska.